"Leigh's subject knowledge and professionalism is of the highest standard I have encountered"
A real gent who is dedicated to his craft. Leigh has trained me on my route to becoming a fully qualified ADI. He is very patient and supportive, he is always at the end of the phone in his own time too. If you are looking to become a driving instructor, I couldn't recommend anybody higher to have as your trainer. I have had the opportunity to observe Leigh deliver lessons to pupils and I hope to one day reach the same standard, in delivering high quality lessons." You will need to pass the ADI 1, ADI 2, and ADI Part 3 Examinations followed by a Standards Check (usually) within 6 to 9 months of qualifying. XT Driving can provide independent training on all elements of the test. The ADI Part One is the theory test examination. This is an extended version of the learner theory test. The ADI Part 2 is a 60 minute test of your driving ability, which takes place on all road types, all manoeuvres, and the emergency stop need to be demonstrated. 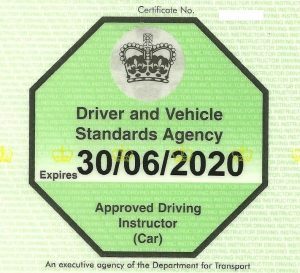 Learning to do these manoeuvres correctly to the DVSA requirements forms the very basis of the following examination (Part 3 Instructional Technique). A high standard of competence is expected. You are allowed only 3 attempts at this examination, after which you will have to wait until two years from pass date of your Part 1 theory exam to resit. The national pass rate for 2017 was 56%. This is a test of your instructional ability, where a Senior Examiner will observe you delivering an hour-long lesson with one of your pupils. You are allowed only 3 attempts at this examination, after which you will have to wait until two years from pass date of your Part 1 theory exam to resit so it is vital that you receive correct training for this examination.